Interview w/ CASACOM: How do you maintain authenticity as an influencer? 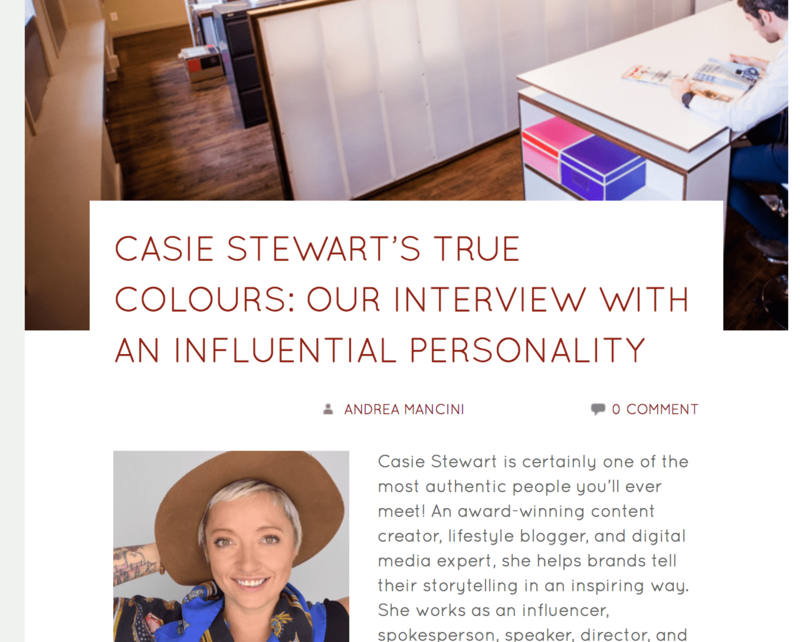 I recently did an interview with Toronto based PR firm, CASACOM. They invited me to the office to have a candid chat about the current state of social media, the world of influencers, and my career in digital over the past decade. You can read the interview here or scroll down for a little snippet. 2. How have you maintained your authenticity over the years as the digital landscape changes? You have to stay true to who you really are. Sometimes bloggers and influencers make themselves look a certain way and portray a life they don’t actually live. It’s hard to live up to those kind of standards you set for yourself and you’ll burn out if you’re not yourself. I’ve heard of younger people wanting to starting a blog or ‘be an influencer,’ but influencer isn’t something you can just decide to be; influence comes from DOING something that gets recognized or influences the ideas and thoughts of people. You can’t buy your way into being influential, establishing yourself as a brand or thought leader takes time. Next Post Hello from San Francisco!